Nastify Vegas - Cbl Plasma Mirror - Ski-Snowboard Goggles - SHRED. 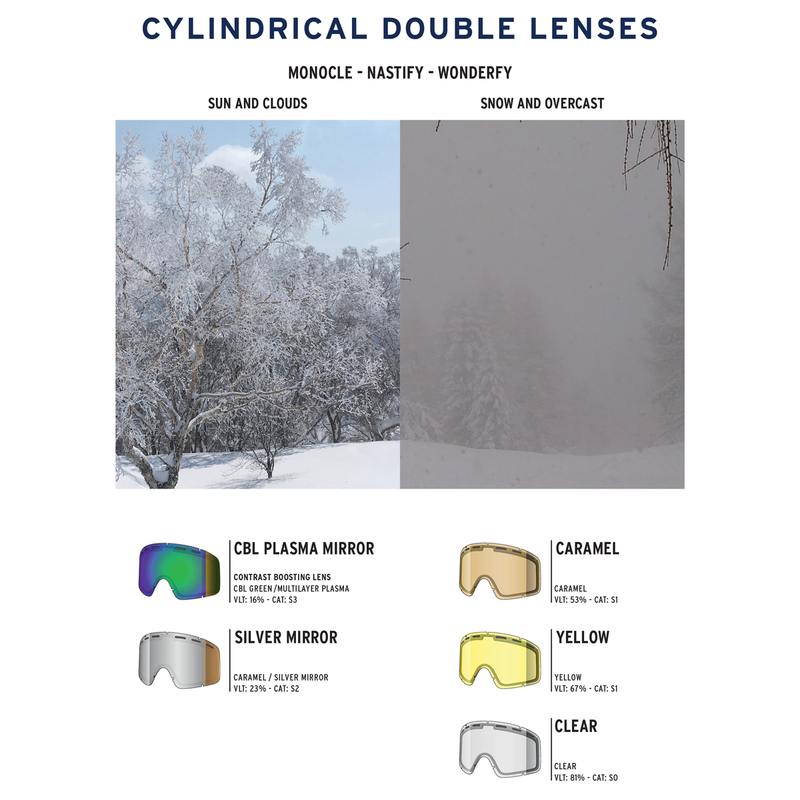 If you’re looking for a simple yet stylish ski and snowboard goggle that is smaller fitting and that provides a wide field of vision, unrivaled fit and comfort, and superior lens technology to defeat flat light, then choose the SHRED. Nastify. Its CONTRAST BOOSTING LENS™ (CBL) and NODISTORTION™ technology (available in select models) enhance contrast and image definition while SHREDWIDE™ maximizes field of view, allowing you to gain the confidence and control you need to boost your fun on the hill.